When a mysterious illness befalls the queen of the Eagle Kingdom, a famous healer is summoned to Eagle Castle to examine her. The Healer’s quest takes a sudden turn when the infant prince vanishes under mysterious circumstances. 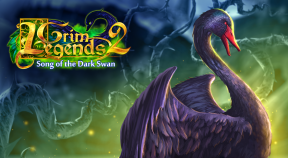 The protagonist has only one day to reach the ruins of the Swan Kingdom and unravel the mystery behind the ruling family’s curse.